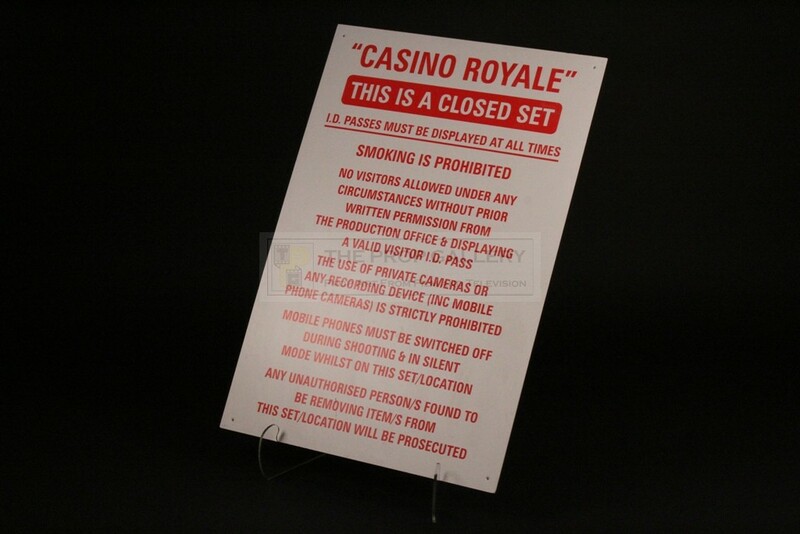 An original set sign from the production of the 2006 James Bond picture Casino Royale starring Daniel Craig as the suave spy. 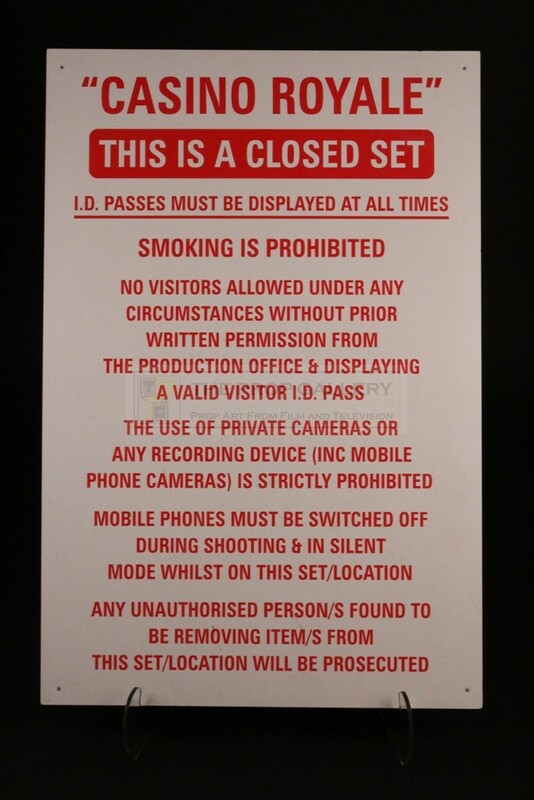 This is an original set sign used during the production, signs such as this were used at the studio to display various rules that were to be adhered to on set during filming. 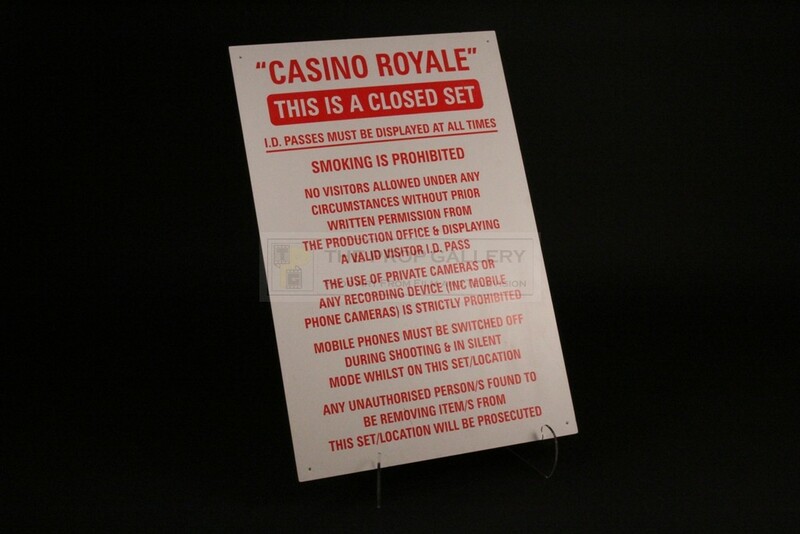 The sign is constructed from plastic board and is sign written in distinctive red lettering, it features the name of the movie 'CASINO ROYALE' to the top stating that 'THIS IS A CLOSED SET' and various stipulations below advising crew members that things such as smoking and the use of any recording equipment are strictly prohibited on set. Holes have been drilled to each of the four corners allowing the sign to be mounted and displayed during the production. 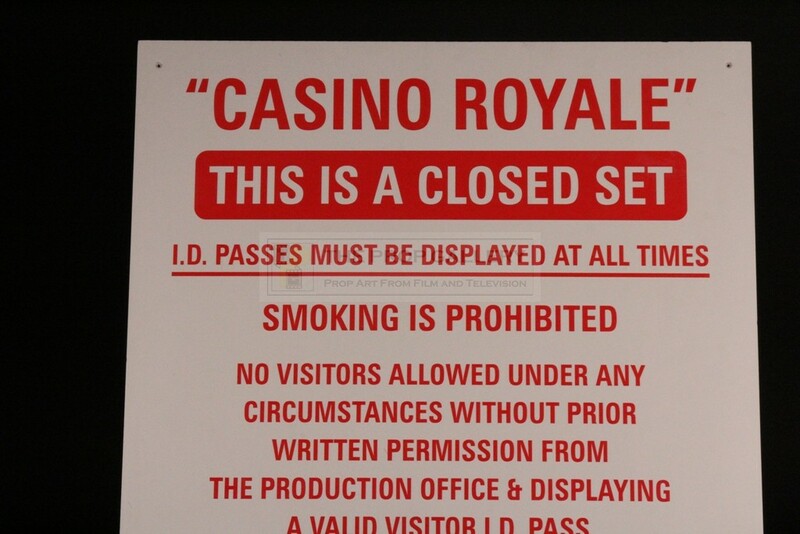 The sign measures an impressive 36" x 24" and remains in excellent condition with some light surface wear, overall very fine. 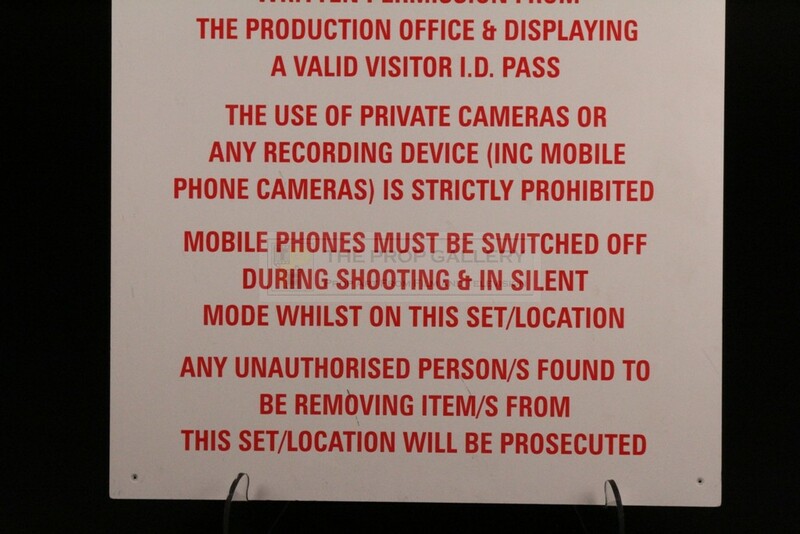 An interesting talking point and a very displayable artefact with obvious ties to one of the most celebrated franchises in cinematic history.